Does Postgresql Match SQL Server in Terms of Performance and Scalability? The performance and scalability of the database system can affect any project in a significant way. There are many instances where the developers have to migrate from one database system to another just to boost the performance and speed of operation in database-heavy applications. Not only that, every application gets modified for better user experience and introducing new features and the requirements for database storage increases considerably. If the database system you have for your application does not provide a robust scalability feature and if the performance takes a beating as the load increases, the application’s popularity will take a hit. Today, let us compare the performance and scalability factors of two most popular database systems MS SQL Server and PostgreSQL. Concurrency – Concurrency is a big factor in determining the performance of a database system. Concurrency refers to the feature by which multiple processes can access and modify shared data at the same time. In every application, certain data are shared by various concurrent processes running and the robust this concurrency of data can be, the faster and flawless will be the performance of the database as well as the application. SQL Server has underdeveloped concurrency and you are sure to get various locked, blocked, and deadlocked reports in the log. This causes mismanagement of data and the processes of the applications get very slow. In this comparison, PostgreSQL has a better concurrency management system and there is less chance of deadlock situations due to its optimization MVCC feature. Partitioning – Just like concurrency, partitioning is a big feature of the database system. Partitioning is the process by which large tables are divided into smaller fractions. As a database size and especially table size grows, it is important to go for partitioning. This helps in faster performance when it comes to accessing the data from the fractions rather than going through the entire large table. Partitioning is also important from the scalability point of view. As the application scales higher, the database will become large and if it is not split, it can become larger and accessing data will take a lot of time. As for SQL Server, there is a proper partitioning feature but you have to buy the feature as an add-on whereas, in PostgreSQL, you get it for a lesser price and with more efficiency. Indexing – The technologies are updating faster than ever. In such a scenario, SQL Server’s approach of releasing a new version after a few years is outdated. 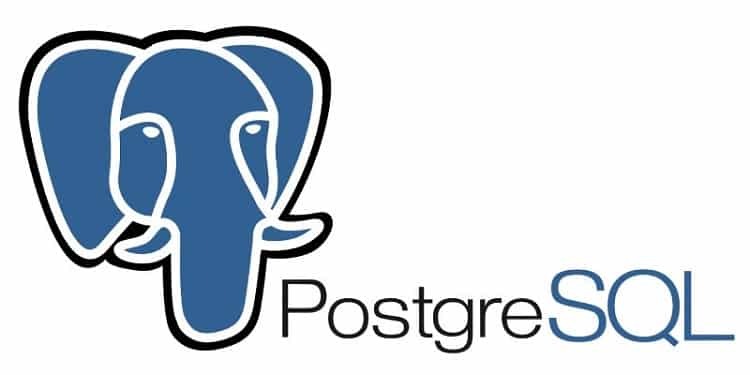 PostgreSQL releases updated version regularly and they keep up with the trend for offering faster performance. Moving on, PostgreSQL has indexable functions feature will boost the performance of the database to another level. Not only that, PostgreSQL has modules or extensions support and you can do a lot of things that SQL server is incapable of. Due to the lack of proper indexing implementation is SQL server, they have omitted one of the most used variable system called array. The scalability feature of a database system is directly dependent on the ability of compression of the data. Ideally speaking, the database system must come with advanced compression technique out of the box. There are certain database systems where the developers have to compress manually and it is not only time consuming but also inefficient. MS SQL Server offers compression out of the box but you have to implement it manually. On the other hand, PostgreSQL offers it for free and the entire process is automatic. Platforms – In today’s world, applications have to be universal. This means that people from every OS whether it is Windows, Linux, Mac or something else should be available to access the application. The same should be true for database system so that developers can work from any OS as per their choice. As SQL Server is a Microsoft’s product, it only runs on Windows and developers having Mac or Linux cannot work on it. This is a major drawback when it comes to scalability and flexibility of development. Thankfully, PostgreSQL works on every platform and opens up a new approach for the developers. It is also one of the prime reasons for the migration of database from SQL Server to PostgreSQL as various commercial companies’ developers applications on Mac based computer. PostgreSQL is not only matching the performance or scalability of SQL Server, it is dramatically better than SQL Server in multiple parameters as discussed above. As far as the enterprise level goes, the pricing is better than SQL Server and there are a few features that come for free in PostgreSQL when SQL Server charges a lot for them. Next post Which Ecommerce Platform Is Best For SEO?